How did Content Marketing Conference begin? The first CMC was hosted in Las Vegas in 2015. This was five years after WriterAccess was founded with the mission to provide quality content for a variety of brands by making the best talent out there readily available to them. It’s the nature of the internet itself to constantly shift and transform the way that people search for and consume information and digital marketing is absolutely no exception. While there are other events dedicated to content marketing that are hosted by industry leaders like the Content Marketing Institute (among others), CMC was established with a dual purpose in mind: engage thought leaders in the content marketing field and also provide a space for WriterAccess clients and talent to meet face-to-face. 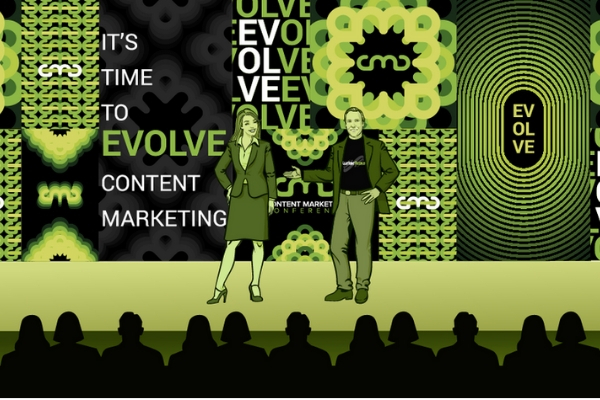 With the resounding success of the first CMC, founder Byron White hosted the event in Vegas again in 2016 with 40 different speakers from all over the content marketing field. Attendance more than doubled thanks to their fresh perspectives on everything from content optimization and curation, all the way to content creation techniques and tips for finding the talent no matter what size your team or client is. While Vegas is always a popular destination for conferences with absolutely no shortage of interesting venues and the kind of fun atmosphere that gets attendees excited to go, it can also get expensive for these reasons. Since WriterAccess is headquartered in Boston, it made sense to move the event there to attract attendees, speakers, and sponsors clustered around the northeast. By keeping CMC close to home, it made things much easier on the team to prepare for and manage the event and get involvement from the entire staff without the added stress from travel. This move also enabled WriterAccess to work closely with partners, influencers, and marketing agencies headquartered in Boston, or that have a presence in the city. Large content marketing events like Content Marketing World and Inbound, which WriterAccess has had presence at, are immeasurably valuable to attend for networking and staying on top of the latest developments in the digital marketing realm. However, incredibly large conferences and conventions can also be overwhelming when you’re primarily there to learn and meet new people. CMC is growing every year, but the conference strives to be a manageable size so attendees can freely talk to one another and be able to ask the speakers questions without crowding them in. We’re expecting over 1,000 attendees at CMC ’19, a long way from our humble beginnings in Vegas but by hosting CMC at the Westin we are also offering a venue that is easy to navigate. Hospitality is the focal point that sets CMC apart from other content marketing events large and small alike, in that you don’t need to leave the premises after you just attended an engaging talk if you want to talk to a potential writer over a cup of coffee: complimentary refreshments are plentiful, and lunches are included along with a dinner reception. In addition to being the destination for content marketing thought leaders like Andrew Davis and influencers like Sarah Cooper, CMC is also a brilliant opportunity to meet many of our customers, agency partners, and talent face-to-face. CMC is organized in a manner that puts you first and doesn’t simply treat you as just as another attendee to pump up the numbers. Whether you’re just now hearing about WriterAccess, or you’ve been working with us as a client or talent, we’ve strived to make the event as valuable and memorable as possible since 2015 and we’ll continue to do so this year. As the host of CMC, we want to exceed your expectations after you’ve been welcomed to Boston just like our talent does when they work with you. We hope to see you at the 5th annual CMC in Boston this year and if you haven’t done so already, please remember to register!